(NaturalNews) In today’s world of widespread pollution and gender-bending chemicals, it can often be difficult to keep our hormones in balance. Even the most health-conscious of us are assaulted on all sides by a large number of poisons, such as BPA, that can disrupt our endocrine systems and cause havoc in our bodies. Consequently, many people have resorted to hormone-balancing drugs to help improve their health, which often cause even more problems in the long run due to their unnatural ingredients. Thankfully, nature does provide us with a small number of foods that contain noted hormone-balancing properties. Perhaps the most potent of these foods is maca, a plant native to the Peruvian Andes that bears edible taproots. The indigenous Peruvians have long considered the root of the maca plant to be beneficial for hormone health, and a great deal of modern research confirms these allegations. Another double-blind, placebo-controlled study published in Menopause in November 2008 discovered that maca “reduces psychological symptoms, including anxiety and depression, and lowers measures of sexual dysfunction in postmenopausal women independent of estrogenic and androgenic activity.”(2) In other words, maca benefited the female subjects’ moods and libido without negatively affecting their sexual hormones. A study published in the Asian Journal of Andrology in December 2001 also discovered that maca tablets could improve sperm production and sperm mobility in adult men. Specifically, treatment with maca “resulted in increased seminal volume, sperm count per ejaculum, motile sperm count, and sperm motility.”(4) The researchers noted that serum hormone levels were not affected with maca and that there wasn’t a correlation between sperm count and the number of maca tablets consumed. 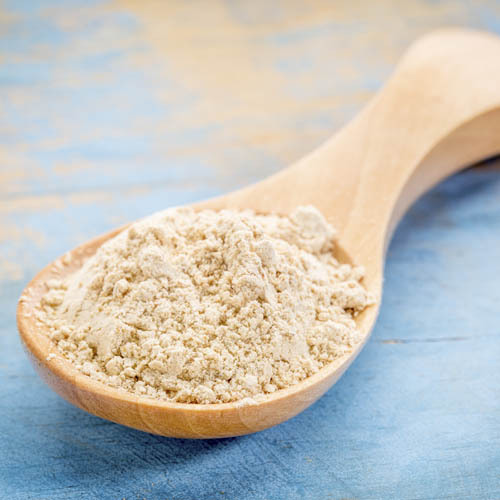 If you’re interested in taking maca for its hormone-balancing benefits, it’s best to consume organic, powdered maca that has been gelatinized. “Gelatinized” maca is simply maca that has had its starches removed, resulting in improved potency and bio-availability. This is actually how maca was traditionally prepared; even the indigenous Peruvians rarely consumed maca raw, because it is much harder to digest.